Don’t you just wish you can actually go out there and collect Pokémon? That was my dream when I was a kid. And to be honest, even now. Well, Jollibee makes that dream a little closer to reality with Pokémon Battle Squad! For every purchase of a Jolly Kiddie Meal, you can pick a toy. Jollibee’s Pokemon Battle Squad adds new members: Rockruff, Alolan Vulpix, Togedemaru, Bounsweet! Also, Pikachu returns with some new fun features! 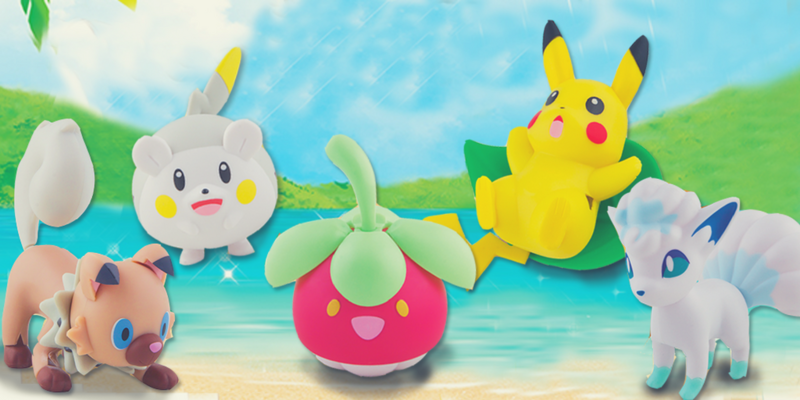 Imagine going on a Poke-battle with these toys’ cool tricks! Deflect attacks with Pikachu’s ultrafast spin or have Togedemaru conjure a strong electromagnetic surge with just a press of its head. If you prefer a grass-type Pokemon, turn Bounsweet’s leaves into razor weapons with the press of its stem. Get your Rockruff into a battle stance with just a press of a button on its stomach. End the battle with the ice-type Alolan Vulpix! From March 1 to March 31, collect these awesome treats with every purchase of a Jolly Kiddie Meal: Jolly Spaghetti Meal at P99, Yum Burger Meal at P94 or Chickenjoy Meal at P125, each with its own Jolly Joy Box. Head over to your nearest Jollibee branch and be sure to catch ‘em all! You know I will, Bingers!